I reflect on Indian Prime Minister Modi’s state visit to the White House this week, where he focused on trade and strengthening United States — India ties but side stepped the climate denial of the White House. Also, United Nations Conference on Sustainable Development Rio+20 was exactly 5 years ago in 2012, where we as citizen stakeholders created a place at the table to discuss climate change in the context of the institutional framework for sustainable development. 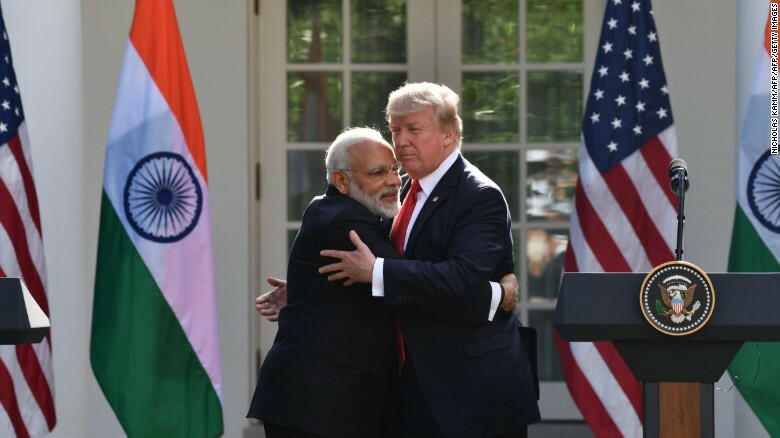 Modi avoids Trump’s infamous handshake and instead bear hugs. Modi & Trump are both nationalist leaders of two of the biggest democracies in the world — these countries, India and the US, are very diverse, and also both share great income inequality issues. 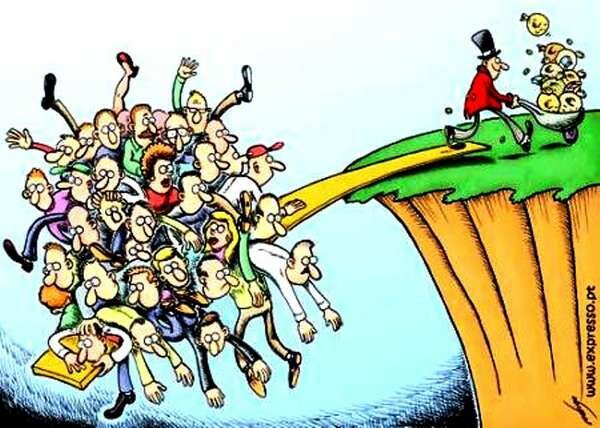 Income inequality and poverty are the biggest issues in the climate change crisis. What it comes down to is this: who is responsible for paying for the climate change damage that is projected to affect hundreds of millions of Indian and US citizens in the next few years? Displacement, drought, extreme weather events such as hurricanes and floods, coastal erosion, sea level rise, and oceans acidification are already affecting India and the US, and these impacts will only worsen because the US has refused to commit to mandate greenhouse gas emission (GHG) cuts during the Trump Administration. 2016 Presidential Candidate Bernie Sanders addressed income inequality as the greatest issue of our time. The classic “polluter pays” principle states that those who create environmental harms are responsible for compensating victims and redressing the harms. In a sense, the US is already doing this, because as the 2nd largest GHG emitter in the world with very high per capita emissions (Ratio: US: India GHG emissions per capita are 22:1), the US is providing aid, through development finance through institutions such as the World Bank, OPIC, and other development assistance (ODA) to various nations for resilience building and humanitarian and disaster relief. However, the US, as of June 1, 2017, under Trump, has “pulled out” of the Paris Climate Agreement, threatening not to fulfill its pledge under its Nationally Determined Contribution (NDC) to cut GHG emissions by 26–28% of 2005 levels by 2025. President Obama and PM Modi worked together to negotiate and then ratify the Paris Agreement in 2015–16, and Trump’s reversal on climate change is a major setback to US-India relations. The US has said it will not honor its $3B yearly commitment to the Green Climate Fund, and already the US Department of Energy, EPA, and Department of Interior have shown an eagerness to cut back on subsidies for green technologies, to reduce regulations of coal, oil and gas, and to open up federal lands for oil and gas drilling. 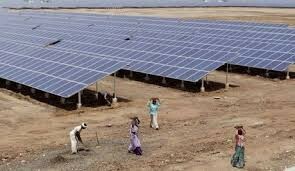 Solar farms in India are generating huge amounts of power at low cost. These are all problematic policy decisions vis-à-vis India, because India, under Modi, has increased use of new and renewable energy, is shutting down coal mines and plants, has promoted sustainable agricultural rural development, and is working hard on sustainable transport. Cross-sectoral integration of sustainability policy is critical to combatting climate change, and the US should be exporting not only green technologies but also best practices to India to meet these new market needs. Luckily Trump cannot single handedly pull out of the Paris Agreement — the Agreement is not simply a “paper tiger” that is non-binding. It is well established international law under the UNFCCC, and it correlates with other international agreements on trade, defense, security, agriculture, etc. After Rio+20, the UN High Level Political Forum on Sustainable Development continues, and the UN Sustainable Development Goals (SDGs), particularly SDG 13, focus on climate change. The world wants to solve global problems by 2030 such as poverty, hunger, gender inequality, lack of access to health care and sanitation, reliance on fossil fuel based energy sources, and unsustainable patterns of production and consumption. International institutions, working through negotiations multilaterally, and combatting terror all go hand in hand, and the US can certainly not afford to give up its position as a global super power by “sitting out” of negotiations and treaties on the most critical global issue of our time: climate change.